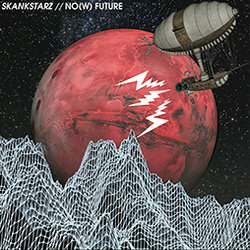 SkankstarZ is a collective of international musicians, performers, artists and producers born in Byron Bay in 2014. Also known as Boom faya family and 420 Live dub, the expanding crew has been rocking the Northern Rivers underground and mainstream scene now for over a year performing in Major festivals like Splendour in the grass, Falls Festivals, Island Vibes, and Nimbin Roots / Mardi Grass.... to name a few. A Versatile Band with incredible high energy levels, they drive any crowd off the beaten track. The style flows from reggae to Dancehall, Hip Hop to drum n bass: Mad Vibes! Together they've supported international reggae legends and famous artists such as Groundation, Dub FX, Opiuo, Easy Star All Stars, Zion Train, Zoom T, J-Boog, Tippa Irie, Kora and Dub terminator in venues like The Great Northern and The Brewery. Recently joined by former members of Fyah walk and Boom Faya, the quirky/amazing crew can't help itself to burn stages and smoke mics with their magical tricks, musical crimes and phenomenally infectious presence. SkankstarZ residencially hosts the best Reggae/Dub nights in Byron Bay every week and month at the Beach Hotel. More Music, More Love, MORE FAYA! The song that gave the band its name. This song is a danceable, uptempo party song. The horns add to the skanky drive. Vocalist Rosie Donovan raps one of the most memorable verses of the album. A dubby middle-8, a main-break which builds tension... this song has it all!